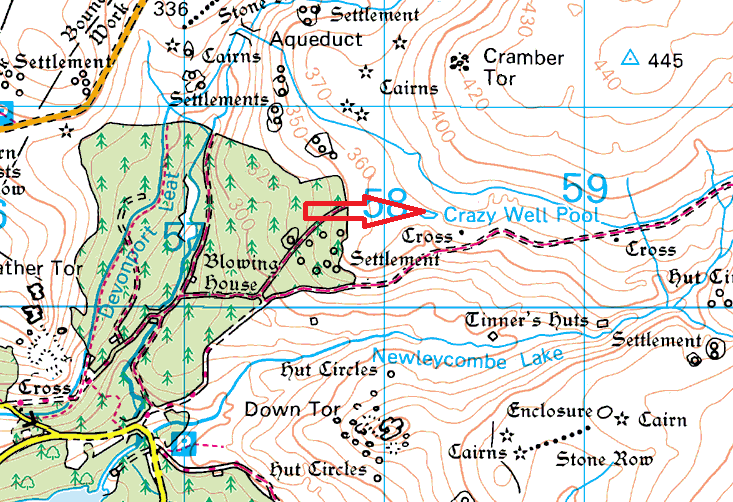 Crazywell Pool is a large pond sitting north on the path out from Burrator heading for Older Bridge and Nun’s Cross. Nearby is the Devonport Leat and also a nearby cross marks one of the old routes between the churches at Tavistock and Buckfastleigh. 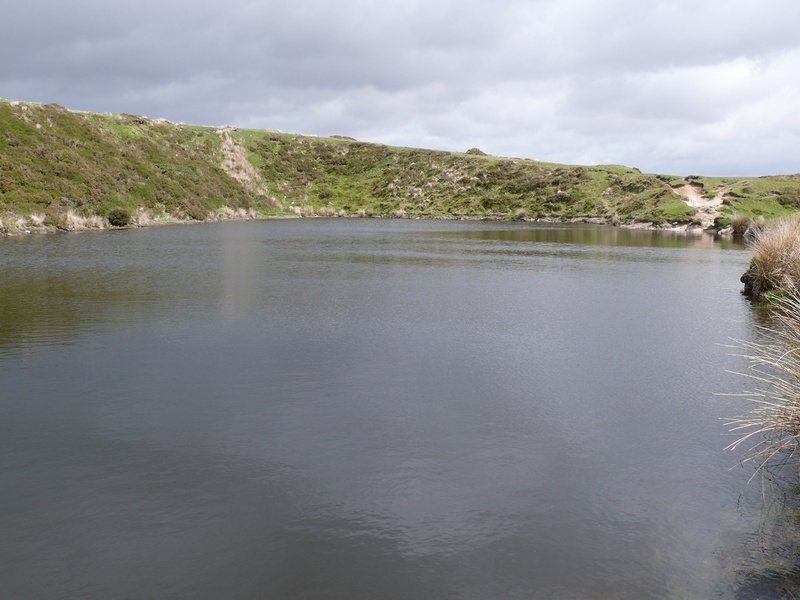 It was probably built as a result of the tin minings in the area either as a reservoir or flooded mine shafts. 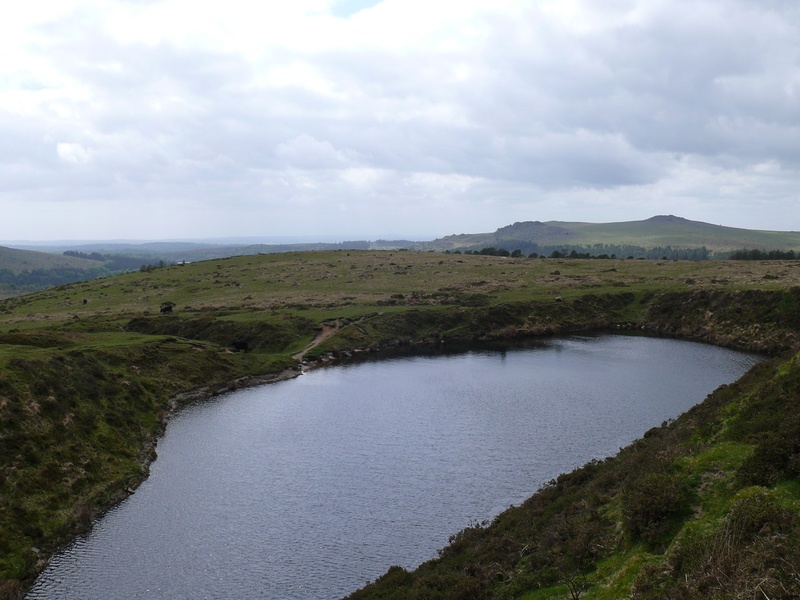 It does however have its fair share of Dartmoor myth about it, it is believed to be haunted and similarly it is said that on Midsummer’s Eve anybody who gazes into the waters will see a likeness of the next parishioner to die. There is a fairly modern tale of how one night somebody was retelling the legend of the pool in a local inn. Two young lads heard the story and laughed into their beers. A challenge was laid down that on the next Midsummer’s Eve that they would not dare to go to the pool. This bet was accepted and the boys duly went up to the pool on that fateful night. As it was quite a hike they decided to drive up on a motor cycle. Nobody knows what they saw or heard because on the way home the bike sped off the road and killed them both!